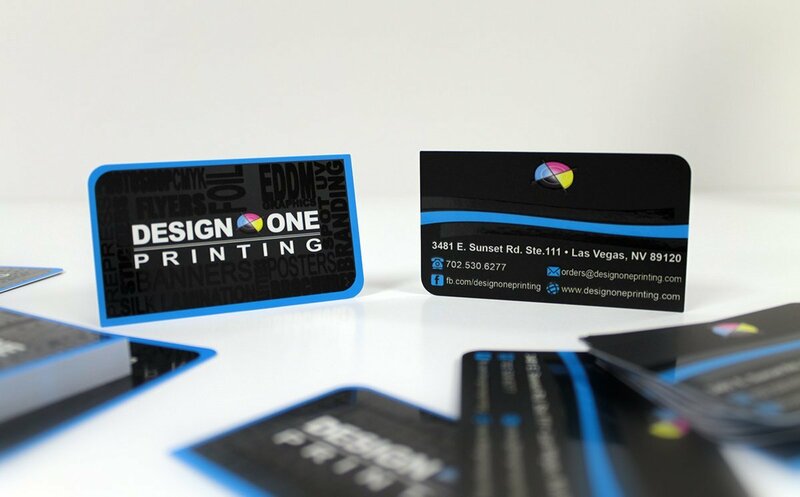 Design One Printing offers premium and custom business card printing throughout the Las Vegas and Henderson Valley. Give us a call for great rates: 702-530-6277. If you are in business, one of the most common demands you would hear is “Can I have your card?” Whether you are a professional or entrepreneur, people would often ask for your card in exchange for theirs. But why it is a lot of business owners do not have their business card printing these days? When you attend networking events and start going around meeting people and exchanging cards, the first thing you would often hear is they do not have their cards with them. Perhaps they are using digital cards already. But you cannot expect everyone to have their own smart phone to exchange business cards. You have to remember that having no business card is a big mistake in business. If you want people to remember you, you have to have a card to hand out. One of the most effective ways to ensure that people remember you is to create a stunning and attractive card. Create a design that can turn heads on the street. Use colors that are vibrant but be sure not to overdo it. Remember that as much as you want your cards to look attractive, they still have to communicate your contact details effectively. When receiving cards, it is best to take a careful look at it. Ask questions if necessary and after your conversation you can jot down notes to help you remember the person. When doing follow ups, the information you jotted down can surely help you talk with your prospect.It is important that your cards contain your complete contact details such as your name, business name, contact number, e-mail and street addresses and web site. Make sure to use readable fonts in this information. Although fancy fonts would surely make your cards look attractive, they will not help make your info readable. People would only throw away cards that are hard to understand, so jus stick with simple fonts. Also, pick sturdy paper stock to print your cards. This will ensure that your cards stay neat and clean even when placed in wallets or pockets. There are plenty of choices in paper stock these days. If you do not know how to choose, ask your Design One Consultant to go over your options with you. How to Create an Effective Business Card? Business cards can take on many different colors and designs, but just like any other magazine or pamphlet, your business card is a piece of printed material. And this is why it becomes imperative to be aware of the basic paper-based design principles. To start, in order to create an effective business card you need to make sure all your key copies are at least 5mm from the trim edge. For the best image reproduction, it is advised to set your printer settings on 300dpi. For a good design, you can consider using Adobe Photoshop or any other business card designing software that provides good templates. Need help designing your card? Give Design One Printing a call, we have designers ready to help you get your ideas on paper. When it comes to business cards, accurate sizing is an essential component. You may find a couple of standard sizes for business cards, but the best one to go for is 55x85mm. Although it may appear small, you can still be creative and utilize the space. You want to make sure it can fit in your prospects and clients wallets. This can help increase referrals…Give your clients a few extra business cards and let them know that they can hand them out. This is a great marketing tactic for new business. When sizing, start with what information you will include in the business card, such as email address, phone number, and name. Now, work in your design accordingly to the sizing so there are no discrepancies during the printing phase. Of course, there are some common pitfalls you need to be aware of when designing business cards. First and foremost, make sure you provide a bleed, as specified by your printer. Most printers would commonly have 3mm, but even so different models can be 5mm. Also, it is important that you avoid using borders, when designing your business card. Why is that? If the card isn’t cut properly, the border could be misaligned and this may look untidy. If you are looking to add a different touch in your business card, you can consider using a special finish. These finishes can include metallic inks, spot-UV and foil blocking. But make sure that your printer supports different inks. Different printers offer different options for finishes. So, it is important that you take a look at the configuration of your printer before you get started with printing your company cards. Nevertheless, by using these special finishes, you can make your card look more memorable, visually impressive, and tactile. Last, but not the least, make sure to double-check each and every detail of your business card, to avoid any problems or errors, such as typos, incorrect email address or name. So, now that you are familiar with the tips mentioned above, creating an effective business card won’t be a problem. A business card forms the first impression a potential customer thinks about your company. That is why it is important to have your business cards printed by a professional printing company. You will want to include a business logo and your contact information with your website. Your business card should be well designed, and easy to understand your offering.One of the most important things to consider on your Las Vegas company card is your marketing message. Include your name, business name and job title. 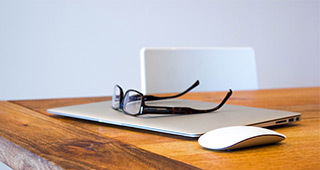 Keep your layout free from clutter and offering too much information. A professional printing company uses high quality card stock to print business cards. Do not forget to include your email address on your card. The font should be simple, because calligraphic font is hard to read. The use of color on your business card should be kept to a minimum unless it coordinates with your logo. Embossing your card is a great way to add class and style. The secrets to a professional business card is a sleek and modern design. The ultimate purpose is to have potential customers remember what you sell and call you when they need your product or service. A business card is not the place to display artwork. Reserve this for brochures, flyers and other printed media. Another purpose of your business card is to set your company apart from your competition. It is an important tool when attending trade shows or conferences. A great business card idea is to place a coupon or discount for your product or service on the back of the card. Choose the highest quality card stock you can afford. 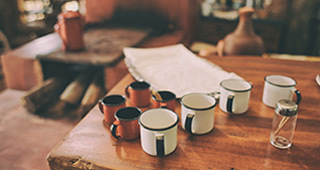 Printed marketing materials will likely never go out of style. Most people enjoy looking at printed media that is attractively designed. 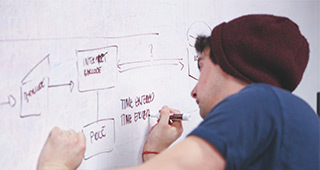 A creative design will ensure your potential customers remember you and your business. Combine your business card with other printed materials when you attend trade shows. Give them out to potential customers as a package. Trade shows are a common way to attract new business. Follow up on the business cards that you receive to pitch your products and services. Make sure your website easily conveys what your company sells. Printed marketing materials combine to make an effective marketing strategy. All business owners have a goal to gain new customers, and a professional business card will do the job. Sedimo porttitor lectus nibh proin egetino tortor risus donec sollicidin molestie malesuada quisque velit nisi pretium uhgoit lacinia in elementum idino enim. Amino porttitor lectus nibh proin egetino tortor risus donec sollicidin molestie malesuada quisque velit nisi pretium uhgoit lacinia in elementum idino enim. Porttitor lectus nibh proin egetino tortor risus donec sollicidin molestie malesuada quisque velit nisi pretium uhgoit lacinia in elementum idino enim.